Amelia Zurcher, director of the honors program at Marquette University, said she is working to prevent the stereotype of honors colleges being secluded, exclusive programs meant for only some students. 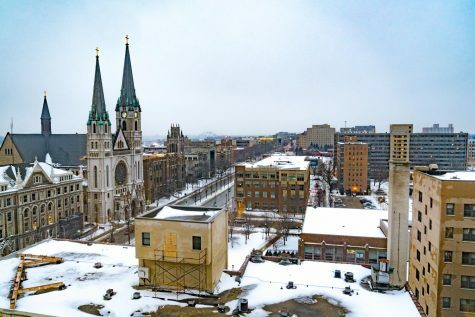 Amelia Zurcher, director of the Marquette University Honors Program, said she is working to prevent the stereotype of honors colleges being secluded, exclusive programs meant for only some students. 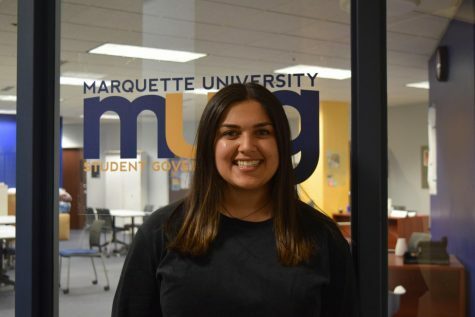 Zurcher said just like anything at Marquette, there are a multiple ways to get involved with academic opportunities, and the honors program is just one path. She said honors is accessible for students to pick up if they want, but it is not necessary. 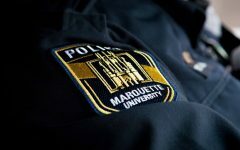 Marquette’s honors program offers two ways for students to participate: core honors and disciplinary honors. “A lot of people think the honors program is just core honors, but it’s not,” Zurcher said. 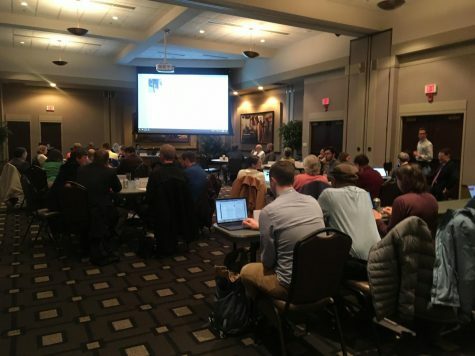 Though there are two honors program options, Zurcher said it’s important for students to know they are in the university honor program no matter if they are core honors or disciplinary honors. Core honors has about 210 freshmen who have the opportunity to live in the honors Living Learning Community and take an honors version of the core curriculum, Zurcher said. The LLC is an environment for honors students to participate in study groups, collaborate on projects and see familiar faces from class in their residence hall. Students in the honors program can also have access to honors research fellowships and honors study abroad scholarships, Zurcher said. 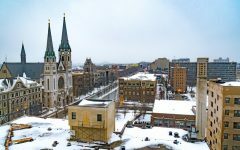 Upon being accepted to Marquette, some students may receive an invitation to the core honors program based off of an algorithm created by admissions, Zurcher said. The algorithm factors in elements such as grade point average and ACT or SAT test scores. 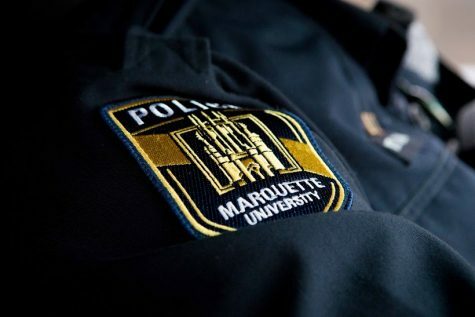 Disciplinary honors are based on applications submitted once enrolled and in attendance at Marquette. “But (ACT or SAT) scores don’t actually predict very much about success in college,” Zurcher said. To make it fair for students who may not score in the highest percentiles on the ACT or SAT tests, Zurcher said anybody who contacts the university honors program for an application receives one. However an application does not guarantee acceptance into honors. The application for the core honors program includes one short essay for applicants to fill out. 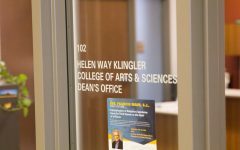 Zurcher said courses in the disciplinary honors program differs from regular courses because they are less textbook based and more project based, and have smaller classes and stronger student-faculty relationships. Disciplinary honors is a program that students enter second semester as a sophomore or as a junior, Zurcher said. She said the program is called disciplinary honors because it is focused on specific disciplines, or majors. 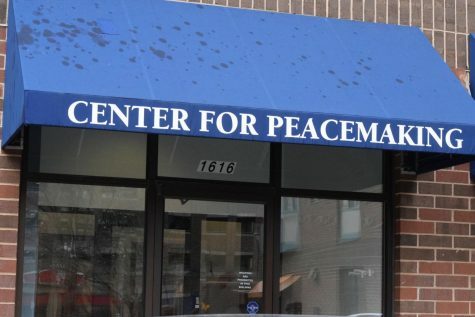 Currently, the program is open to students majoring in biological sciences, biomedical sciences, nursing, chemistry, exercise physiology, physics, psychology or humanities which include English, history, philosophy, theology and languages. Zurcher said that a student does not need to be in core honors to join disciplinary honors. 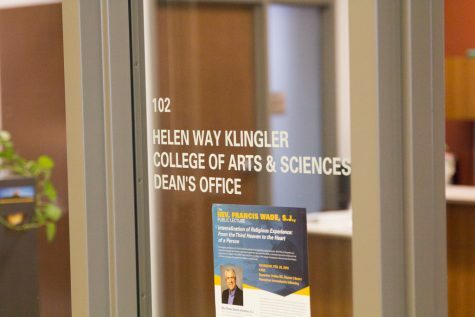 Disciplinary honors is only offered to selected majors, so some students in core honors cannot participate if their major is not a part of the program, Zurcher said. Therefore, only students whose majors are part of the disciplinary honors program can participate in disciplinary honors. But she said students in core honors are always welcomed to complete an honors project, even if their major is not a part of the disciplinary honors program. Similarly to core honors, disciplinary honors offers honors fellowships and study abroad scholarships, Zurcher said. She said students work with faculty mentors and the honors program to finish their disciplinary honors projects. 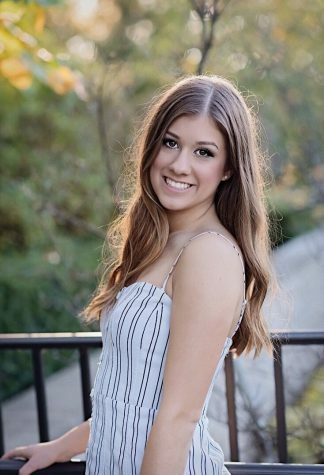 Kate Gustafson, core honors student and sophomore in the College of Arts & Sciences, said she wanted to join the honors program because she took all honors and Advanced Placement courses in high school, and wanted to continue to take challenging courses in a smaller group. Gustafson is an ambassador of the honors program and said she feels really involved in the program. As an ambassador, Gustafson said she helps with events like honors orientation and the honor picnic for the honors program. She also recruits prospective students to join. She said she enjoys recruiting students to join a program she is passionate about. Zurcher said the course-load in the core honors program does not really differ from course-load outside of the program because the honors students take honors versions of core classes. For example, instead of taking a regular philosophy course, honors students take honors philosophy. 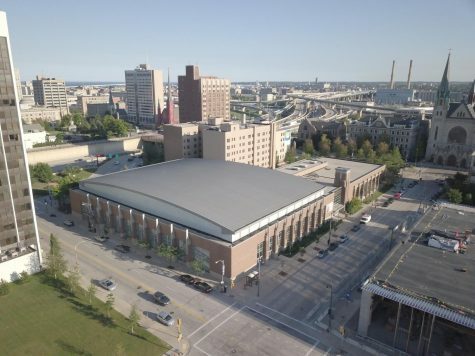 The main difference between the honors program and the other academic programs is the Living Learning Community in Straz Tower available for only freshman and sophomore honors students to live in. Honors students live on floors six through 16 in Straz Tower. She said the LLC was created to put academic connection into the residence hall. Zurcher said the LLC provides a sense of community for students in the Honors Program. But she said it is not meant to exclude the rest of campus. 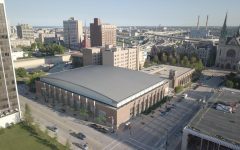 Straz includes whiteboards, a classroom, a multipurpose room, and private bathrooms. Zurcher said the LLC is a place for students to participate in community engaged learning, honors research and independent projects. Zurcher said it’s not required, but it’s pretty popular for students to be a part of the LLC. She said about 70 to 80 percent of first-years and 65 percent of sophomores choose it. John Austin, core honors student and freshman in the College of Arts & Sciences said after seeing his brother join the honors program at St. Louis University and live in the honors LLC, he wanted to have a similar college experience. Austin said living in the honors LLC has been a great experience so far. Similarly, William Hitesman, core honors student and freshman in the College of Arts & Sciences, said he has enjoyed his experience living in the honors LLC. Hitesman said the support system in the LLC has been great. Even though honors students are all different majors, they have overlapping core classes and honors seminars. Zurcher said she didn’t argue for the honors LLC to be in The Commons because then it would feel exclusive, or like an added perk. 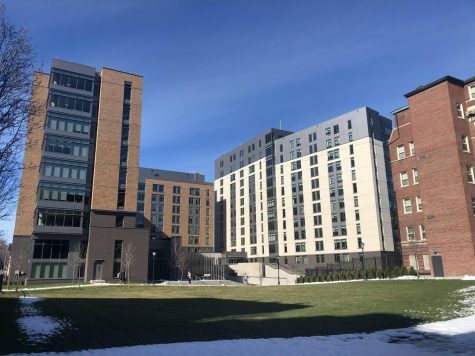 She said the honors students’ accessibility to Sensenbrenner from 7 a.m. to midnight is also not meant to be exclusive and there is nothing special about the building. Zurcher said honors students can use Sensenbrenner to study anytime they want. Zurcher said the one thing about the honors program that may be viewed as a perk is priority class registration. 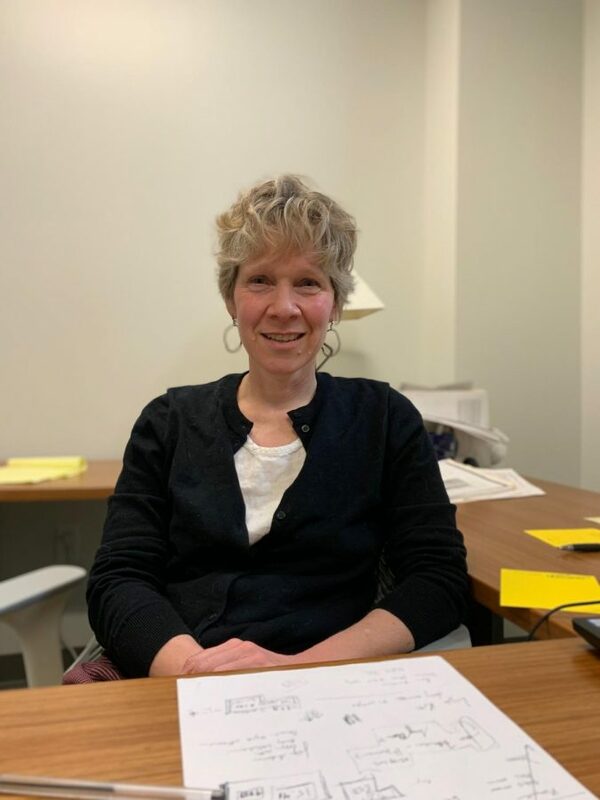 “The argument for that is honors students tend to double major and minor and go across colleges in higher percentages than non honors students,” Zurcher said. 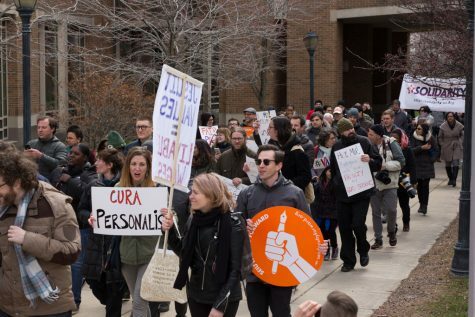 “So it’s harder for them to get the classes they need, so that’s why the provost decided to give students that.” This change was made a year and a half ago. Honors students have honors advisors and advisors for the college they study in. Austin said he likes having honors advisors. “They’ve helped me a ton because I came in as mechanical engineering and then I switched to (mathematics and computer science), so they helped me through that process,” Austin said. Zurcher said one main way she is working to make the honors program more inclusive is by adding more majors to the disciplinary honors program. “We’re trying to build programs in environmental science and data science,” Zurcher said. She said she hopes the environmental science discipline will be launched next academic year. Each college in the university works with Zurcher and decide whether they want their majors to be a part of the honors program. If they do, then they must figure out what the programs would be like.